Do you know that wet and sticky feeling when walking into a basement? Although it’s more common in basements, closets, laundry rooms and bathrooms, you might experience this in any part of your home. If any corner in your house is showing signs of excess humidity, consider the revolutionary dehumidifier with HEPA filter from Houzetek. This is a combination of a dehumidifier and air purifier to produce the driest and cleanest air possible. Loaded with desirable features including adjustable air purification levels and automatic full-tank shutoff. Its compact size and modern design ensure the dehumidifier quite pretty, taking up very little space. Now, get it home to improve the air quality you breathe with the wonder unit. 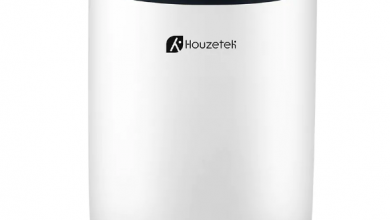 Houzetek Q7 Air Purifying Dehumidifier comes in a very portable and minimalistic design. It has a dimension of 18.70 x 21.00 x 31.00 cm with a total weight of 2.73kg. This means you can actually place this humidifier anywhere in the house due to his portable nature. It is ideal for your living room, bedroom, bathroom, basement, office, etc to improve your quality of life. The lightweight body is easy to be carried to any corner of your house. The device consumes very little power. If the device works throughout a day, it only consumes about 1kwh of electricity, so you can leave it constantly running without having to worry about a big electricity bill at the end of the month, which dramatically reduces on your electricity bill and carbon footprint. 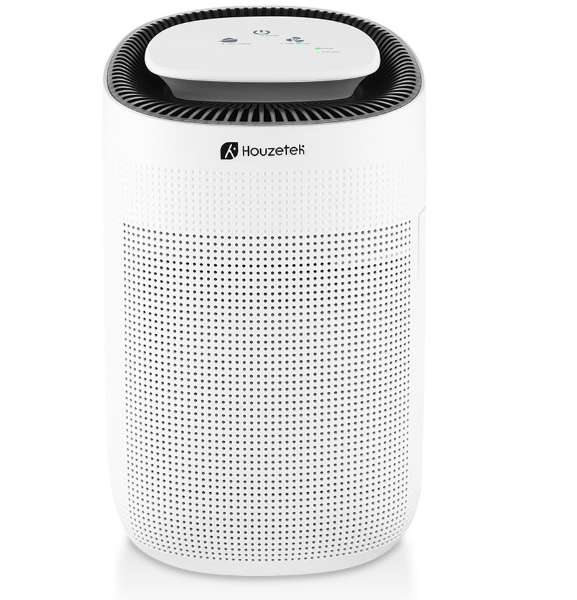 The Houzetek Q7 Air Purifying Dehumidifier effectively Mitigate Humidity. 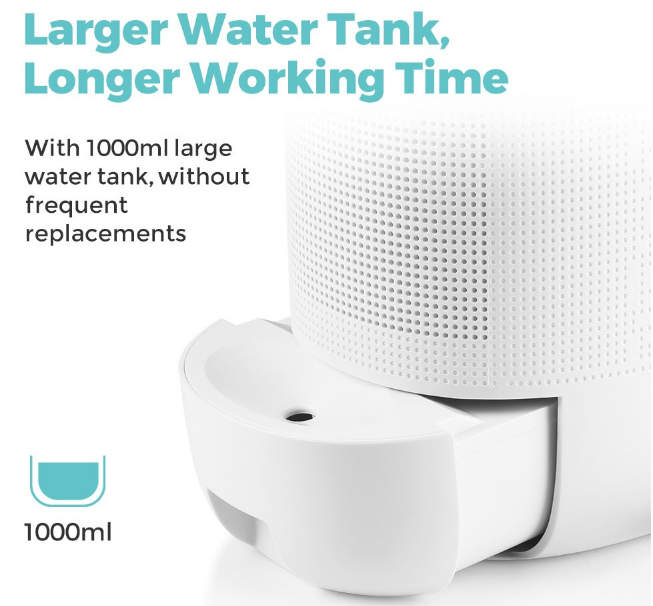 The 1000ml large water tank can provide maximum dehumidification capacity of up to 750ml/d ( 30Deg.C 80 percent HR ), dry the air in spaces up to 15 – 25 square meters, for increasing your home’s comfort level and decreasing the growth of allergens. It also features Automatic Defrost Function. The device is designed for cold to work without the danger of the internal coils icing over, which ensures the dehumidifier can run to an optimal level all the time. 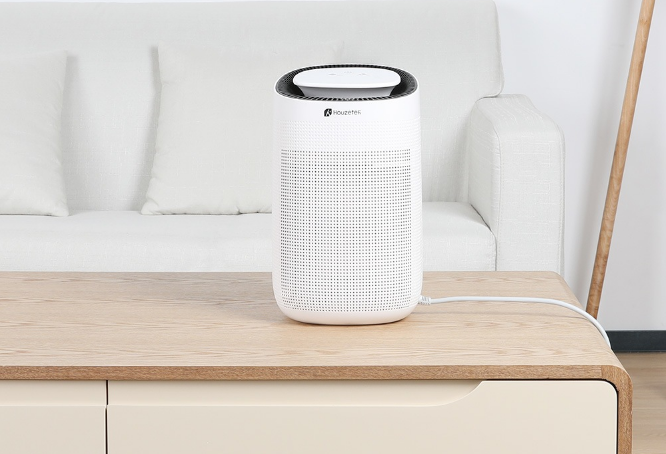 The device also provide improved air quality by adopting the HEPA filter, the unit can remove almost 99 percent of air impurities, like dust, bacteria, pollen, smoke, mold spores, dust, odors, and pet dander, reducing pollutants inside your home to make for a safer and healthier environment for you. One nice feature of the humidifier is its simple and intuitive touch button controls: dominated by simple touch controls, allow you to easily and quickly control the fan speed, purify and dehumidify function. Just control it with a finger. Talking about shutting off the device, it automatically shuts off when the water tank is full without worrying about electrical hazards. What’s more, when an error occurs, the LED light will flash. Avoid clothes mildewing: help reduce the additional moisture on your clothes to prevent damp or any mold building up on your clothes, especially in plum rain season. 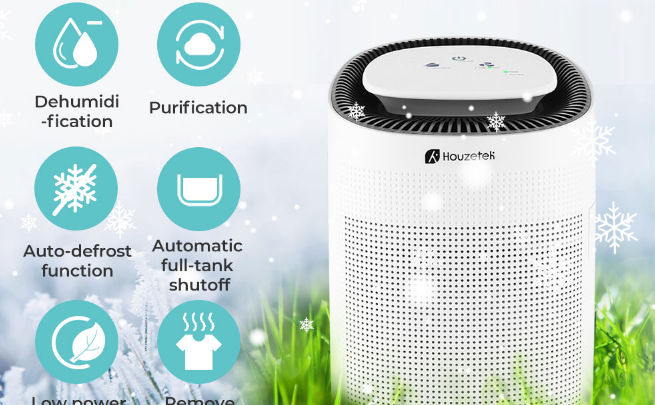 The Houzetek Q7 Air Purifying Dehumidifier is currently available on Gearbest for $65.99 using Coupon code: QY1S9R8Z8P824and has a free priority shipping option.